MOSCOW (AP) — President Vladimir Putin suspended Russia’s participation in a nuclear arms treaty the Trump administration already decided to leave, alleging Monday that Washington and not Moscow was in violation of the 1987 pact. Putin’s order came as Gen. Valery Gerasimov, the head of the Russian military’s General Staff, was in Vienna for talks on strategic stability with U.S. Gen. Joseph Dunford, chairman of the Joint Chiefs of Staff. The INF treaty was one of the issues discussed in what the Russia’s Defense Ministry described as “constructive” talks. Such weapons take less time to reach their targets compared to intercontinental ballistic missiles. Their deployment was seen as particularly destabilizing, leaving no time for decision-makers and raising the likelihood of a global nuclear conflict over a false launch warning. 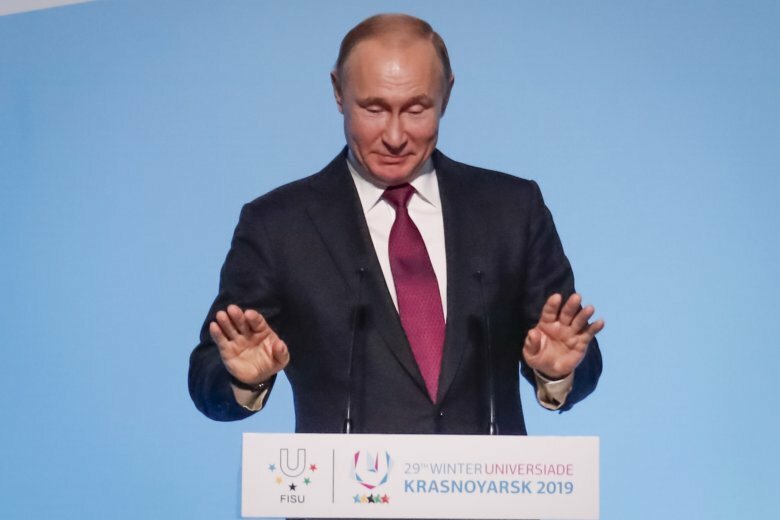 Last month, Putin ordered the development of new land-based intermediate-range weapons, but emphasized that Russia would not deploy them in the European part of the country unless it was in response to the U.S. taking the action against Russia. The Russian leader has warned Washington against placing new missiles in Europe, promising that Moscow would retaliate by fielding new weapons that can reach targets more quickly. At the United Nations, spokesman Stephane Dujarric told reporters that Secretary-General Antonio Guterres holds strong hope Moscow and Washington will be able to resolve their differences over the treaty in the coming months.